NBKC believes in educating each home buyer of the loan possibilities so you can be confident to choose the best option to fit your financial goals when shopping for your dream home. Through NBKC Bank, buyers could reduce their monthly interest payments and closing costs and get the most competitive rates. NBKC consistently provides exceptional customer experience. Along with their competitive mortgage rates, they fund FHA, VA, jumbo loans and conventional loans in all 50 states. NBKC Bank is a full-service, FDIC insured bank and an approved Fannie Mae and Freddie Mac lender. They offer an easy and efficient online application process, customized loan options, the lowest possible rates, ultra-low closing costs and there are no hidden fees. NPEA members receive a discounted lender fee of $475! That’s a $200 saving! 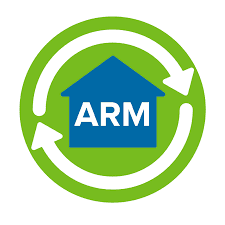 ARM mortgages have a fixed-interest rate of five years. An ARM loan may be the correct choice, if you plan on moving prior to the date that your fixed-rate ends. An ARM mortgage begins with a lower interest rate, which means your monthly payment will be more affordable and you could then qualify for a larger loan. NBKC offers fixed mortgage rates for 10, 15, 20, 25, and 30-year terms. Interest rate remains the same throughout the loan and loan payments are not affected by inflation or fluctuating interest rates. The 30 year fixed mortgage is perfect for those looking to stay in their home for the long run. Many buyers choose a 30-year, fixed-rate mortgage from NBKC over a 10, 15, 20, or 25-year mortgages because it provides a lower monthly payment and potential savings on interest over time. If you plan to stay in your home for many years, the 30-year, fixed-rate mortgage is a great choice. Ultimately, the loan you choose will depend on your financial situation and other home ownership goals as well. VA Loans are available to veterans and those on active military duty. VA loans through NBKC have no lender or origination fees and they offer low competitive rates. An FHA loan from NBKC is a good option for first-time home buyers or for those who may not qualify for conventional loan financing. With an FHA home loan you’ll have down payments as low as 3.5% of the purchase price. Plus, NPEA members will save with a $475 discount on lender fees. There are also loan options for low-to-moderate incomes. This mortgage loan helps lower your initial payment, which works well for first-time home buyers. It also lowers loan payments so members can enjoy 5 years with lower monthly payments and look forward to more savings! You have the option to choose a fixed mortgage rate for 10, 15, 20, 25, and 30-year terms. Interest rate remains the same throughout the loan. If you’re looking to settle into your home for awhile or even engage in some home remodeling then a 30-year fixed loan will keep those monthly payments low without ever changing! Members can qualify easier for a loan or refinancing with an FHA loan. With an FHA loan you can pay off an existing mortgage (conventional, VA or FHA) or “cash-out” and use a portion of your home’s equity to reduce debt or finance other purchases. You must be signed in to enroll. Please click above to register or sign in. Get the latest rewards and advice delivered right to your inbox! Sign up to receive our monthly e-newsletter. NPEA is the only national affinity group setup for school, university, public, and non-profit employees. Our members have more than just jobs they serve the community, and due to this we have been able to put together some of the best benefits, deals and partnerships available for our members.